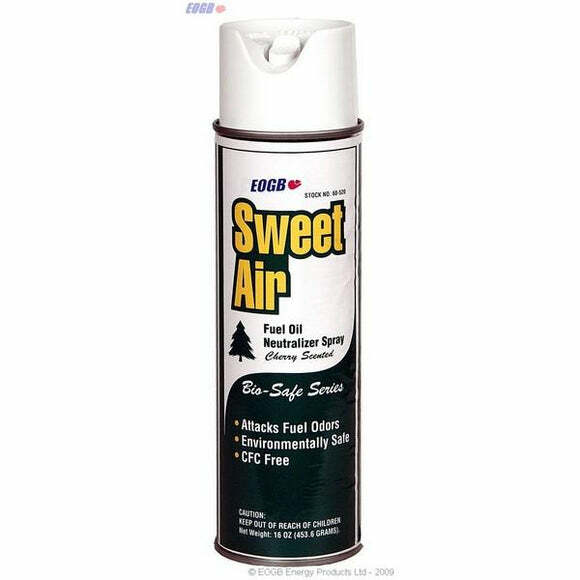 The EOGB Sweet Air Fuel Oil Neutralizer spray is a cherry scented aerosol used for eliminating and neutralizing unwanted fuel oil smells. Part of the EOGB Bio-Safe Series, the Sweet Air Fuel Oil Neutralizer spray is environmentally safe and completely CFC free. Good for use in HVAC systems, the Sweet Air Fuel Oil Neutralizer Spray works by breaking down the origin of the odour rather than masking the smell with chemical perfume. 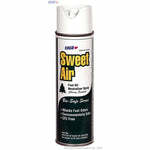 Fast working and long lasting, Sweet Air is safe for use on all types of surfaces.